After exploring metalsmithing in high school, she applied to SUNY New Paltz’s metals program where she planned to study traditional metalsmithing techniques. After the first two years, she found herself feeling lost and looking for new techniques and materials to inspire her work. That’s when Arthur Hash joined the faculty and introduced her to tools such as CAD, Rhino and 3D printing. 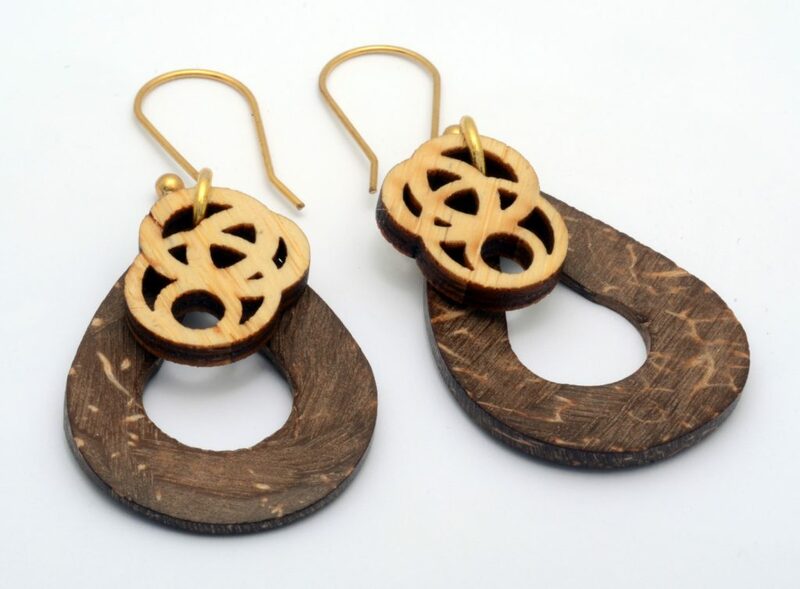 Today, Melanie is constantly seeking out new and unexpected techniques and materials for her laser cut wooden and acrylic jewelry. 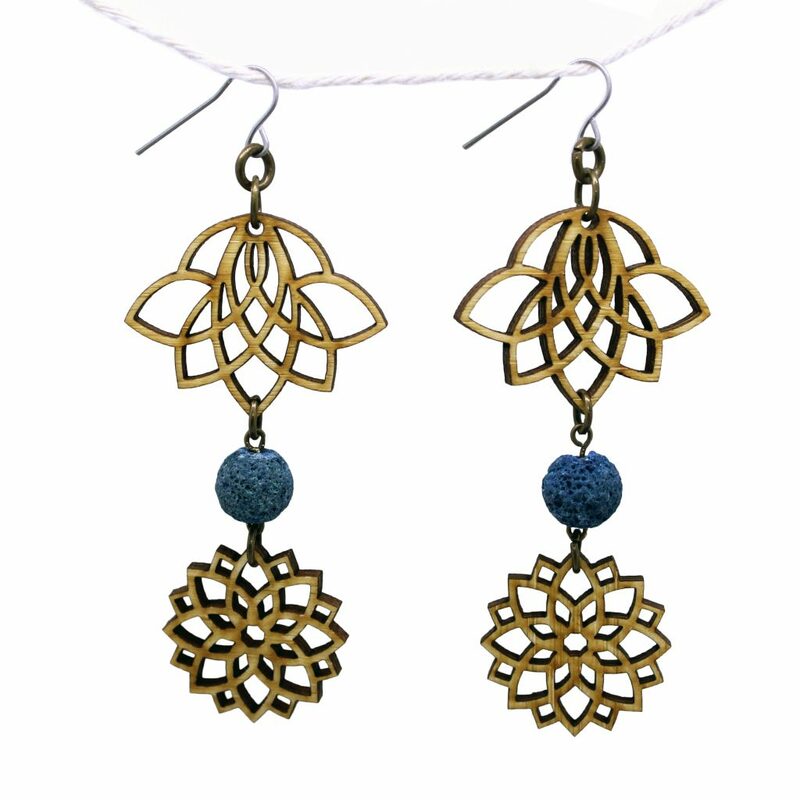 She creates stunning and intricate one-of-a-kind statement pieces–all without the high price tag. Her secret? 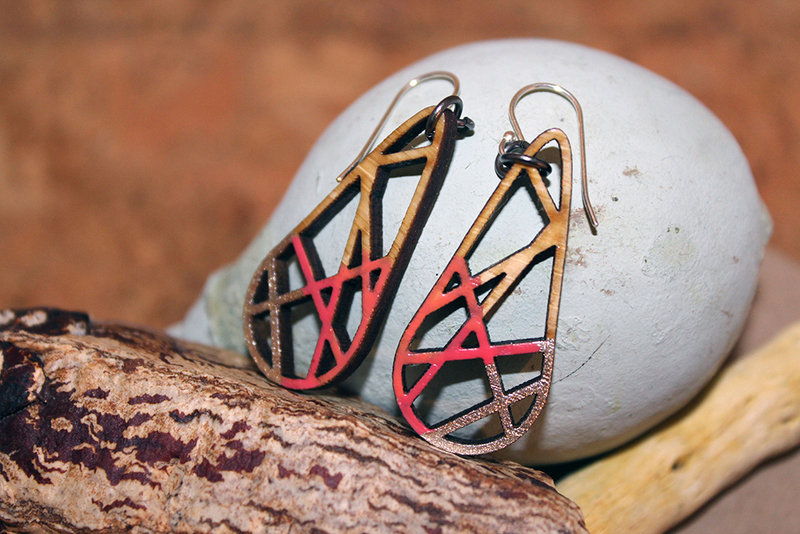 Laser cutting designs out of relatively inexpensive materials such as wood and acrylic to incorporate into her innovative designs. 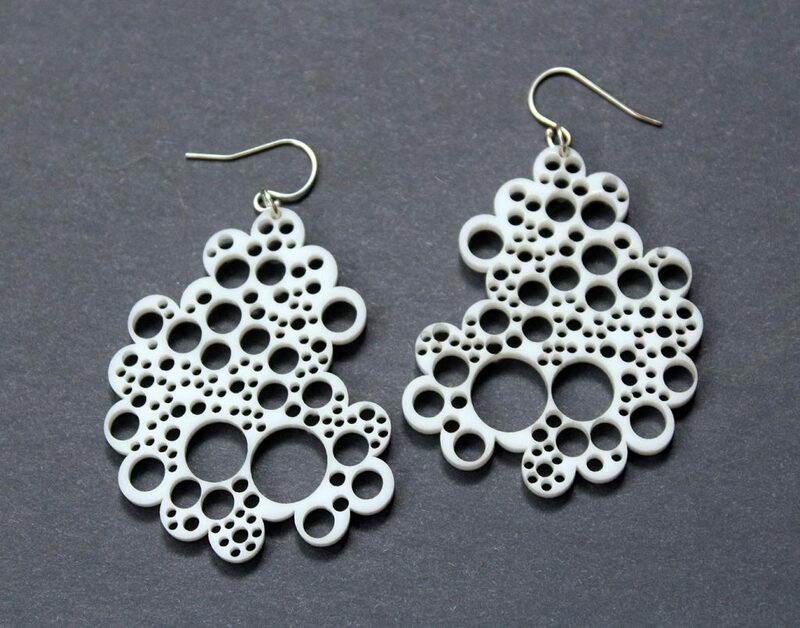 She blends traditional jewelry making techniques (such as wire wrapping and beading) and classic materials (such as stone and leather) with her laser cut wooden and acrylic jewelry designs to make unique and whimsical pieces, all at an incredible accessible price point. By day, Melanie is a technical designer for a high-end jewelry designer where her work centers around expensive and often inaccessible materials such as precious stones and luxury metals. 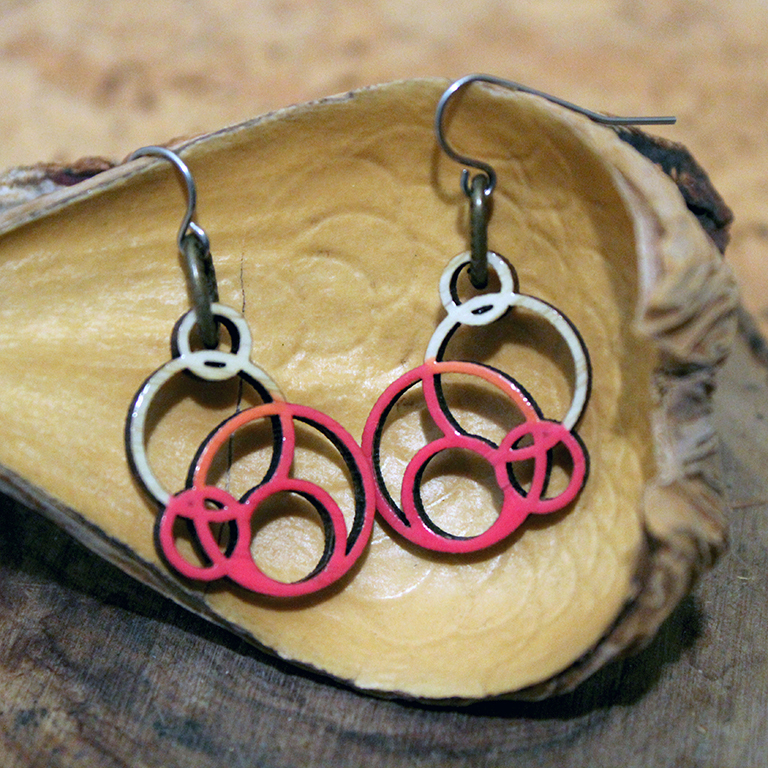 Because she spends much of her time modeling in CAD, there is little opportunity to think creatively. 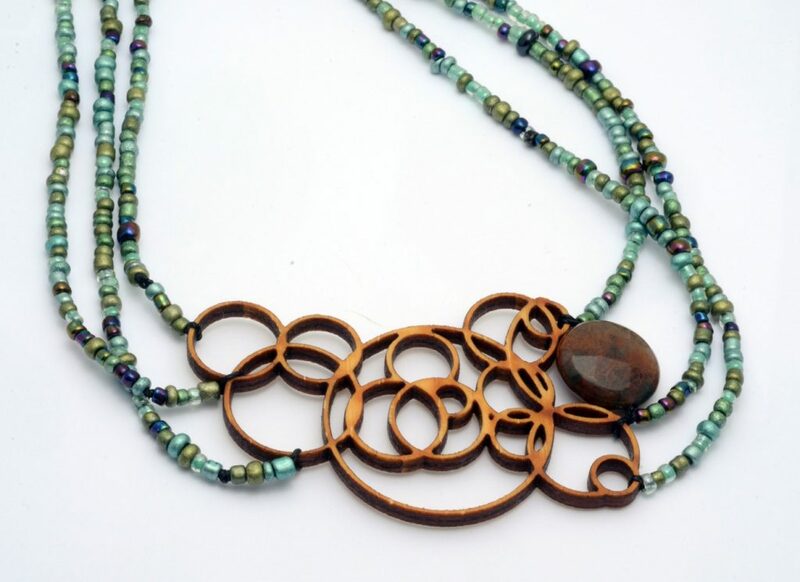 Melanie creates delightfully beautiful statement jewelry and much of her work features a repeating circle pattern that has been part of her classic, signature style for years. “These designs are very geometric and a bit hypnotic in that the lines never seem to end,” she says. Inspired by the world she observes around her, Melanie says she keeps a ton of notebooks around that she jot ideas in and cuts things out that inspire her such as fractals and nature photos with patterns in them. 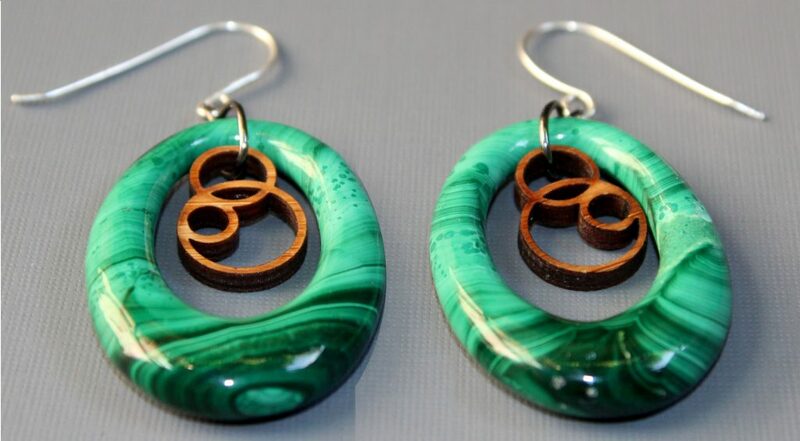 Then when it’s time to focus on creating unique wooden jewelry and innovative acrylic designs, she returns to these ideas for inspiration. 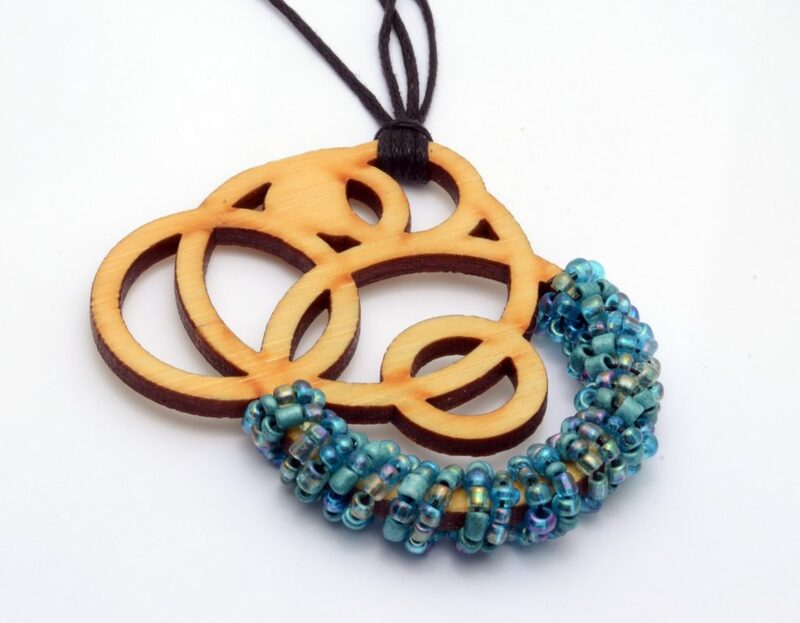 While Melanie says she knows exactly what the endgame will be for some of the laser cut wooden and acrylic jewelry designs as soon as she creates them (such as a piece that will be hand-painted, for example), others aren’t always as clear. 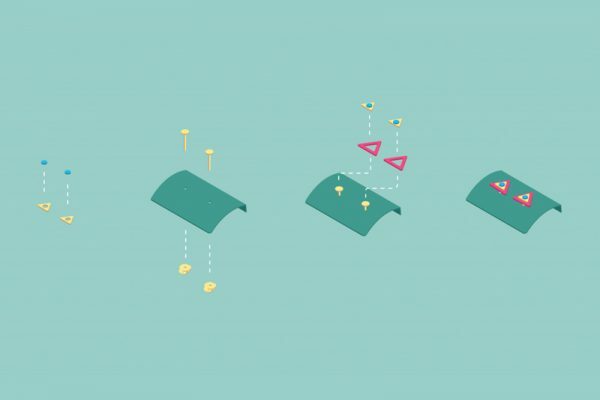 While Melanie works with a variety of materials offered by Ponoko, some designs clearly work better with certain materials. 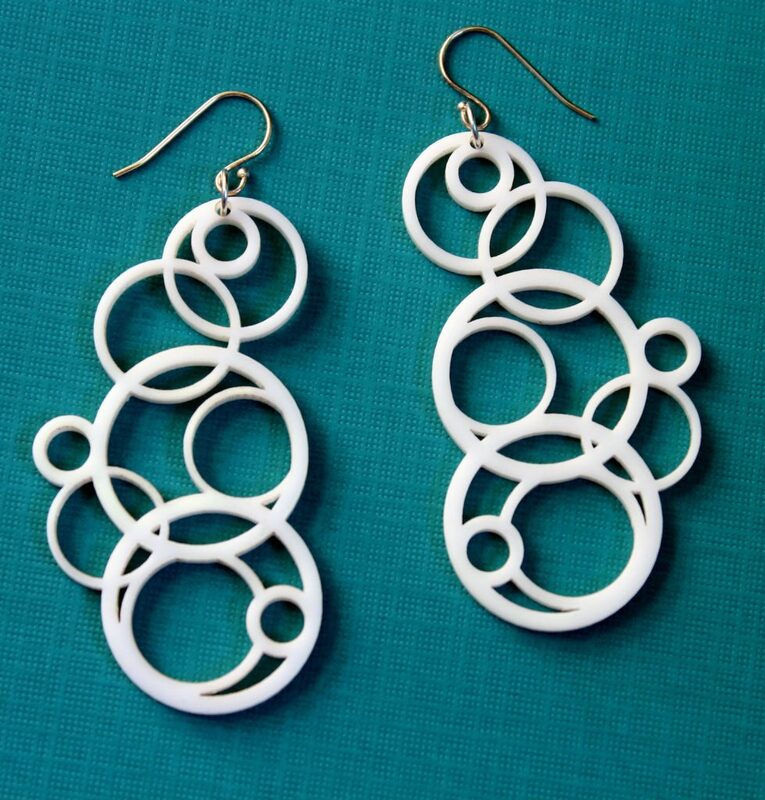 “Sometimes the piece I’m designing fits perfectly with a specific color or material,” she says, such as these white acrylic earrings–the very first piece of laser cut acrylic jewelry she made with Ponoko in 2008 that still remains one of her top-sellers today. But as Melanie has grown as a designer, her use of materials has also evolved over time. While she started off with the white acrylic seen above, she has found the opaque clear and transparent blue tones to also be an excellent fit for the bubble pattern. “The blue literally looks like water bubbles,”she says. 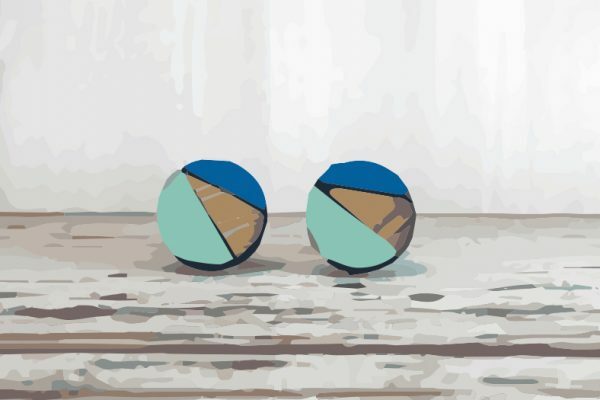 The marriage of the precise digitally fabricated element and the handmade paint application is quite striking, as can be seen in these earrings. 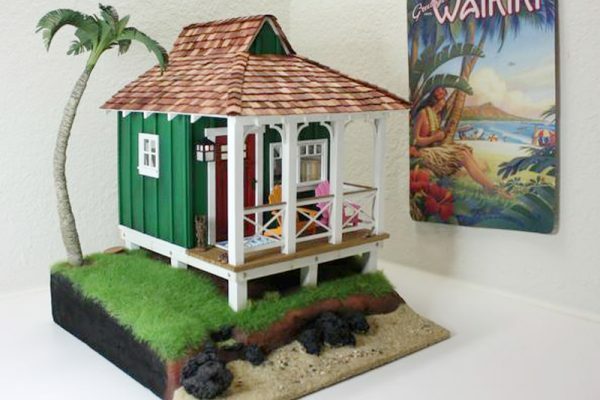 Melanie has even found a way to combine her love of wood and acrylic. “I have done a lot of pieces that blended bamboo and the mirrored acrylics, which I think compliment one another beautifully,” she says. To reduce laser cutting costs, Melanie says it’s best to cut your design out of an inexpensive material and prototype before going forward. “Get all your kinks out before moving into something more pricey,” she recommends. 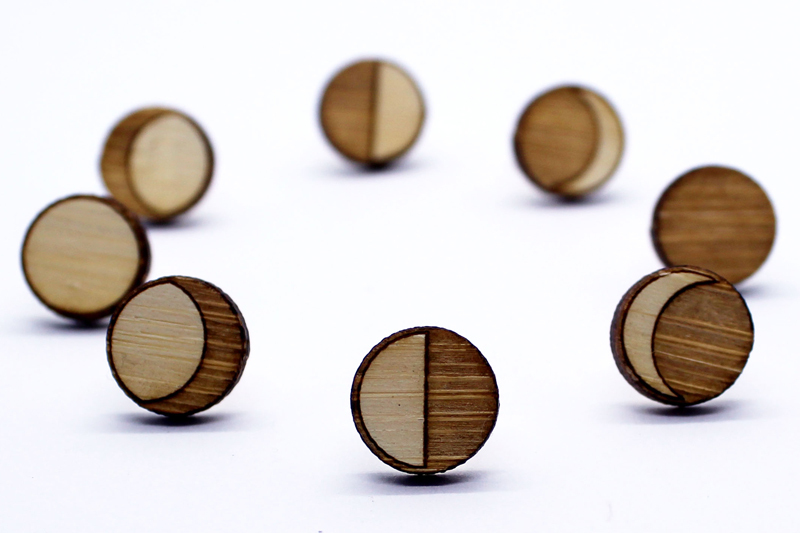 With prototyping, it only took a few trial and error cuts for Melanie to nail down the necessary kerf for her laser cut wooden and acrylic jewelry designs. 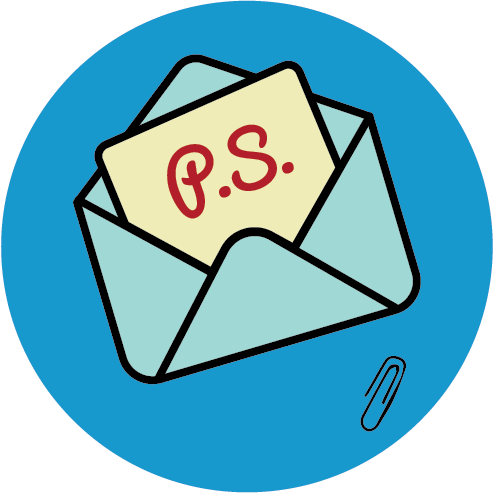 If this is a consideration for your products, prototype first and then tweak your design from there. Melanie and Ponoko go way back. All the way back to 2008 when she was still in school and was introduced to Ponoko through Professor Hash. Ten years later and Melanie is still a loyal maker. To learn more about Melanie and keep up with what she is making, check out the Melanie Lynn Design website, Instagram and Etsy shop. 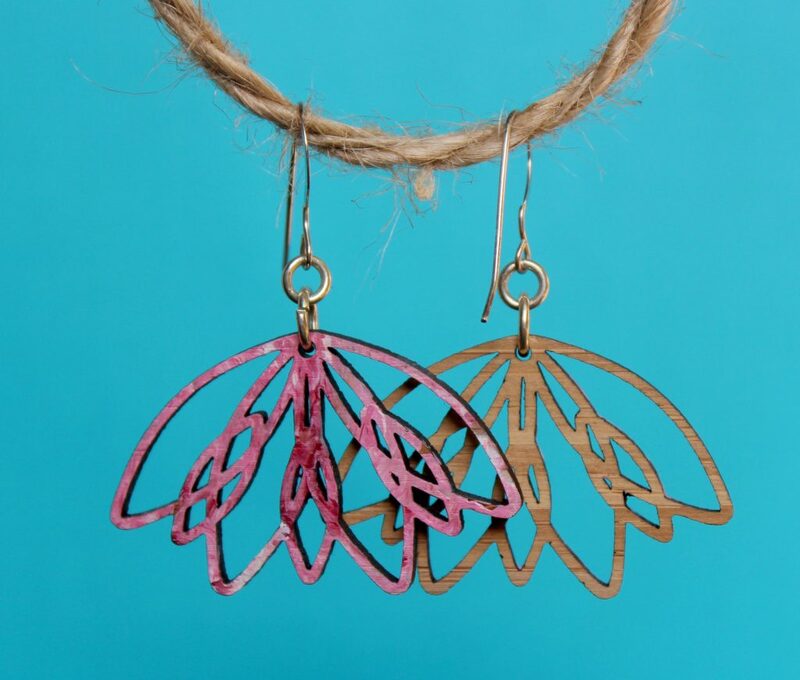 And if you want more custom laser cut jewelry making tips and inspiration, check out how Cottage On The Cliff and Gio Gio Designs go to market.